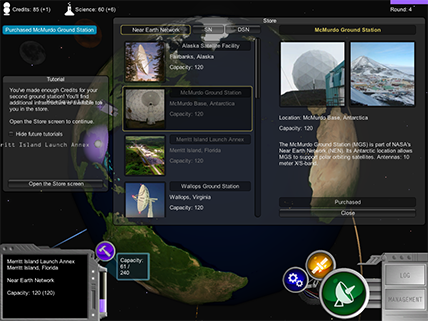 Build the Near Earth Network. 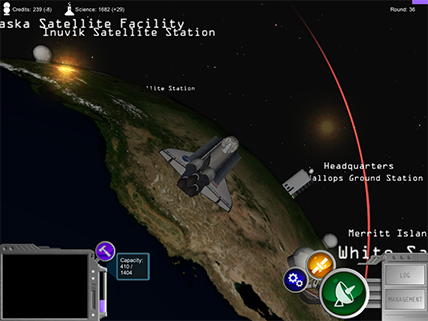 Enable periodic communication with satellites in low Earth orbit. Build the Space Network. Deploy a constellation of geosynchronous relay satellites to support LEO missions that require continuous coverage. Build the Deep Space Network. Support interplanetary spacecraft missions with powerful antennas. Manage and Improve Your Networks. Manage your network usage, deal with disasters, and research upgrades to enhance your networks' capabilities. Support NASA Missions. 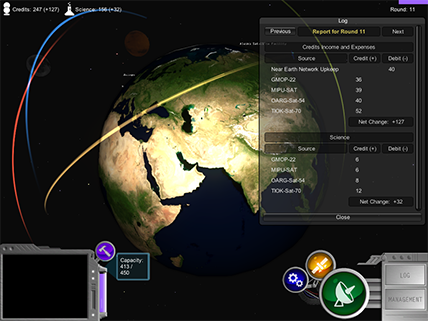 Advance your networks to unlock special NASA missions that show the networks in action. 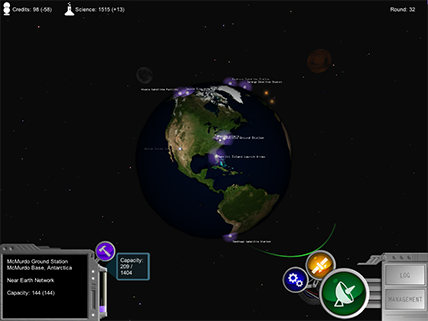 You can play the game in the browser, or download it for the Windows and Mac platforms. To play the game in your browser, follow the link below or click on the button at the top of the page. If you're trying the game for the first time, you'll see a link to download and install the necessary plug-in for your browser. Be patient, it may take a minute or two. Once the plug-in is installed, you're ready to become a Network Manager! 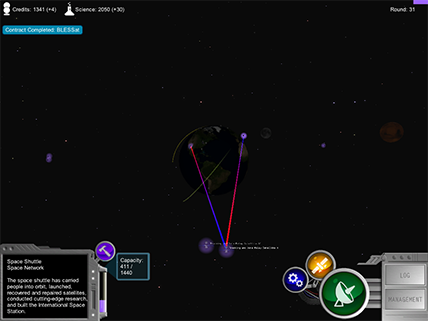 To download a stand-alone version of the software, click the appropriate download link at the right. On Windows, simply unzip the download and double click on the resulting installer to install the game. On OS X, double click the downloaded zip file to unarchive it, then double click the resulting application to play the game. Alternatively, there is a text description of the game. Would you like to create your own video game? 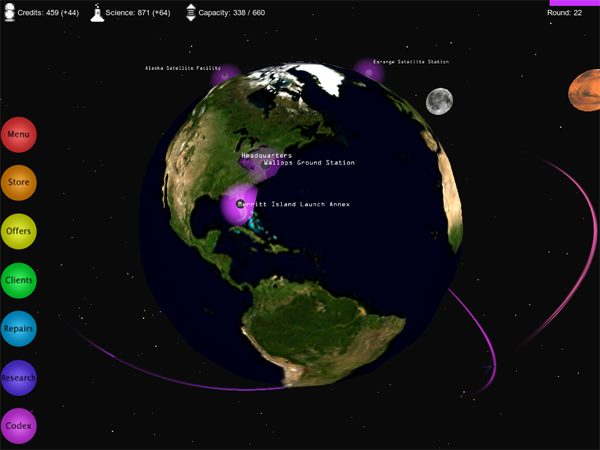 Visit http://www.nasa3d.arc.nasa.gov to download free 3D models from NASA.